Party Rental Delivery Information | FroggyHops.com Minneapolis MN. Froggy Hops includes FREE delivery to many metro community homes, businesses, churches, schools, etc. for any bounce house or inflatable rental. A complete list of cities is below. Set-up at a personal residence on grass or indoors with sandbags is included in your rental!. Our team will ensure that the bounce house is properly cleaned and they go over the operating directions with you. All necessary equipment (blower, extension cord, stakes, etc) are included in your rental. You won't lift a finger! (That is, once you finish your online reservation.) Upon completion, Froggy Hops staff will return to take-down the bounce house. Click the category below to get started! Delivery is FREE to Most Twin Cities Metro! 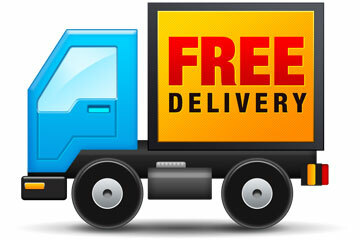 Cost of delivery is based on the location of the delivery and the amount of the order. Click on a city below for details on your specific city. Don't see your city? Please feel free to email sales@froggyhops.com to request a delivery quote. Froggy Hops delivers bounce houses to most metro cities for FREE! Setup and take-down is included on grass using stakes! Alternate options for setup are available. Click any of the city links below for more specific information about delivery prices to a specific city in Minnesota. Thank you for your patience as we continue to improve this area of our website! From The Froggy Hops Team!